Prehensile-tailed porcupines are nocturnal animals, using the long whiskers on their face and feet to guide their way through the tree branches. They are well adapted to living in the treetops. The strong, quill-less tail is used to grasp and anchor the animal to the branch. The large bare soled feet aid in climbing. 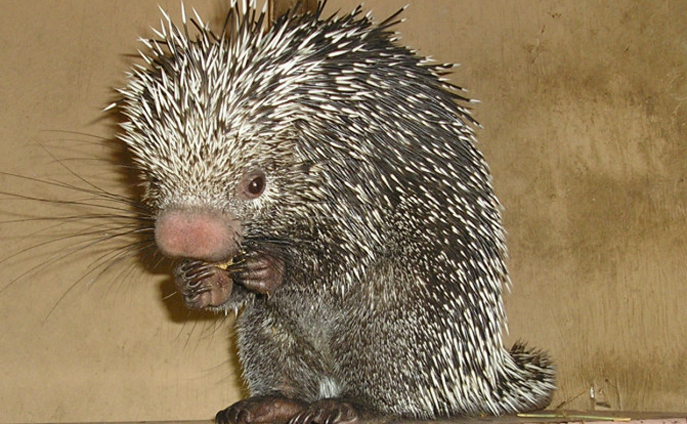 Newborn prehensile-tailed porcupines have red hair and soft spines that harden soon after birth into stiff quills.